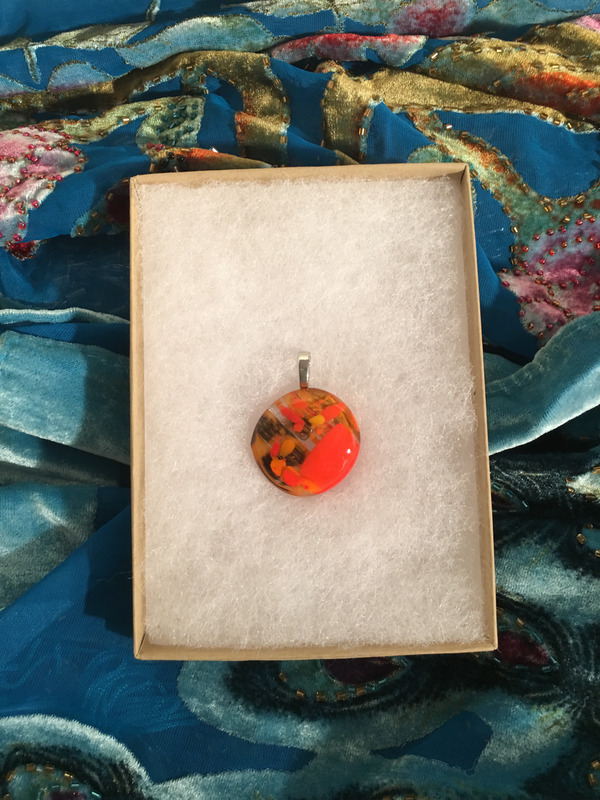 A fused glass pendant, weighing about one ounce. This is a smaller pendant, about one inch in length. It comes with a cord of your choosing.